The Introit is “Emmanuel, Emmanuel” again. We are singing the hymn in anticipation of Epiphany, which is celebrated on Tuesday, January 6. When I took a philosophy class on “Death of God Theology” at William Jewell College, I recall that Thomas J. J. Altizer had a lot to say about “epiphany.” For Altizer, when the “Word became flesh,” God emptied himself into humanity. It was a self-annihilation. Thankfully, I long ago forgot more than I ever knew about “epiphany” and “kenosis” as used by Thomas J. J. Altizer. It made my head hurt. The words date from 1811 and are by Reginald Heber. The tune is MORNING STAR, composed by James Proctor Harding in 1892. The tune is quite familiar and is attached. The composer was the organist and choirmaster of St. Andrew’s Church, Islington, London, for 35 years. In addition to composing music for hymns, he composed anthems for children’s festivals at the Gifford Hall Mission. He was born in London about 1850, and died in London on 21 Feb 1911. The author of the hymn, Reginald Heber, was born 21 April 1783 in England. He died before his 43rd birthday. Reginald Heber was a child prodigy and was translating a Latin classic into English at the age of seven. He won two awards for poetry while at Oxford. His family was wealthy and his parents well-educated. After graduating from Oxford, he became rector of his father’s church in Hodnet, near Shrewsbury in west England. In 1823, he was appointed Bishop of Calcutta. He did not adapt well to the hot and humid weather of Calcutta in May and June, when the temperatures often exceeds 104 °F. As Bishop of the see of Calcutta, he was required to travel long distances, going to Bengal, Bombay, Ceylon, Delhi, and Lucknow. After working in India for three years, he died of a stroke on 03 April 1826. He wrote all of his 57 hymns before going to India. 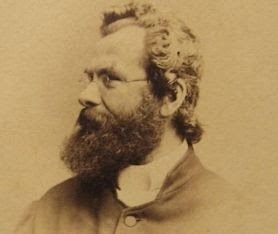 He is the author of eight hymns in our old green Presbyterian Hymnal (1933), including “Holy, Holy, Holy, Lord God Almighty” “Bread of the World, In Mercy Broken,” “The Son of God Goes Forth to War,” “From Greenland’s Icy Mountains.” He also wrote “O God, My Sins Are Manifold,” and “The Feeble Pulse, the Gasping Breath,” a burial hymn. According to The Hymnal 1982 Companion, Vol. Three A, (edited by Raymond Glover), some rejected “Brightest and Best” originally as it uses the term “Star of the East,” which they felt implied “star worship.” They were also put off by the author’s suggestion that his hymn be sung to a Scottish tune named WANDERING WILLIE. If you would rather sing “Brightest and Best Stars of the Morning” to WANDERING WILLIE, you can hear that tune here: http://youtu.be/bd4vwhMgTG8 or http://youtu.be/4XcOuwlNUn4 . The Old Testament lesson is from Deutero-Isaiah, Isaiah 60:1-6. It’s a prophecy of eventual victory and restoration of Zion. you will be excited and your heart will swell with pride. and the wealth of nations will come to you. you will nurse at the breasts of kings. Apparently not every Hebrew idiom can be easily translated. The Gospel lesson is Matthew 2:1-12, the story about the wise men from the east who bring gold, frankincense, and myrrh. As a young child, I often puzzled over how one would be able to find anything by “following a star.” To me, it didn’t seem to be a very precise method of giving direction. I lived on a farm, far away from cities and towns, so there were many bright stars in the sky at night, but except for the North star, none appeared to be very effective at guiding anyone anywhere. At best, they could be used to determine direction, but how would they tell you when to stop? According to Matthew, the star “stopped above the place where the child was,” which would be very unusual behavior for a star. (Does that mean it was directly over Bethlehem? If so, you would have to be looking straight up to see it, which would really strain your neck and make it difficult to see where you were walking as you searched for the new-born King.) One would have thought many more would have noticed if a star were to have actually stopped over some point on the earth’s surface, as it would be unusual for a star to exhibit such exceptional behavior. The reading from Matthew is followed by singing “We Three Kings of Orient Are.” John Henry Hopkins Jr. is both the author and the composer of the tune, THREE KINGS OF ORIENT (1857). John Henry Hopkins Jr. was born in Pittsburgh on 28 Oct 1820. His father was a prominent Episcopal Bishop, and John Henry Jr. later wrote his biography. Hopkins Jr., who went by the name Henry, graduated from the University of Vermont in 1839 and then worked as a reporter in NYC, thinking he might eventually want to go into law. He then entered General Episcopal Seminary (Episcopal) in NYC. Henry Hopkins Jr. graduated from seminary in 1850 and was ordained a deacon in 1853. He next founded and edited a magazine called Church Journal. He didn’t become a priest until 1872, after which he was appointed rector of Trinity Church in Plattsburgh, NY. He died in Hudson, NY, on 14 Aug 1891. Here is a women’s group, Mediaeval Baebes, singing the hymn. They must not have been very good at following stars, as they seem to have somehow wandered off into an ocean or sea. They should have stopped and asked for directions. http://youtu.be/L_TxLf9vAlc “We Three Kings of Orient Are,” Kings College, Cambridge, on BBC TWO. The communion hymn is “Jesus, Thou Joy of Loving Hearts,” originally by Bernard of Clairvaux (1091-1153) and translated to English by Ray Palmer, 1858. The tune was composed by Henry Baker and is called QUEBEC (1854). 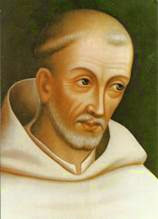 Bernard of Clairvaux was a French abbot. Upon the death of Pope Honorius II on 13 Feb 1130, Bernard played an important role in determining who would become the next pope. France, England, Germany, Castile, and Aragon supported Innocent, as did Bernard, while southern France, most of Italy, Sicily, and the patriarchs of Constantinople, Antioch, and Jerusalem supported Anacletus. Bernard went to the nobles in the regions that supported Anacletus to persuade them to support Innocent instead. The whole problem finally went away when Anacletus died eight years later in January 1138. Bernard then busied himself with fighting heresies. Then in December 1144, Edessa fell from Christian control at the end of a siege led by Zengi the atabeg of Mosul and Aleppo, and Bernard took on the task of trying to gain support for a Second Crusade. The defense of Edessa had been led by Archbishop Hugh II (Latin), Bishop John (Armenian), and Bishop Basil (Jacobite), but the three bishops and their forces had been no match for Zengi the atabeg. Bernard preached to Louis VII of France and to his wife, Eleanor of Aquitaine, and to many princes and lords in Germany and elsewhere. He was rather successful in drumming up support for the Second Crusade, which was aided by the granting of indulgences and the distribution of pilgrims’ crosses. The Second Crusade was a monumental failure. There was much distrust among the leaders of the various Christian forces. Even the marriage of Louis and Eleanor, who had gone to Jerusalem, fell apart. They sailed back to France in separate ships. In 1854, he was a student at Exeter College, Oxford, but did not obtain a music degree from the college until 1867. After that he received his training in civil engineering and went to India to build railroads. The closing hymn is “As With Gladness Men of Old” which was written by William Chatterton Dix about 1858. The tune, composed by Conrad Kocher, is called DIX. It is also the tune used with the hymn “For the Beauty of the Earth,” and it is the tune for “Chief of Sinners Tho’ I Be,” but that hymn isn’t often sung. William Chatterton Dix was born in Bristol on 14 May 1837. He chose a career in business and became a manager of a marine insurance company in Glasgow. During a period of illness at the age of 29 he started writing poetry. He wrote more than 40 hymns but continued in his insurance business. He died at Cheddar, Somerset, England, on 09 Sep 1898. The composer of DIX was born in Ditzingen in 1786. He died in Stuttgart in 1872. He is also the composer of the familiar hymn tune ELLACOMBE. At the age of 17, Kocher moved to St. Petersburg, Russia, to work as a tutor. 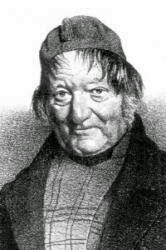 In 1811, he moved back to Germany to live in Stuttgart where he founded a School for Sacred Song in 1821. “He was organist and choir director at the Striftsckirche, Stuttgart, from 1827 to 1865.” He composed an oratorio, two operas, a large number of chorales, and some sonatas. The Wells Cathedral Choir was 1,100 years old in 2009, as it was in 909 that boys first sang at Wells Cathedral. The choir is heard regularly on BBC Radio 3. Another tune, FEDERAL STREET by Henry Kemble Oliver, is sometimes used for singing this hymn. Oliver was a student of Lowell Mason and Mason may have helped with the harmony. Mason thought that being known as a composer would not be helpful to his career in banking in Savannah, so he sold the copyright to his works and asked that they be published without his name. This was the time of the spread of singing schools throughout New England and Long Island, and Mason’s compositions became extremely popular, and church choirs began singing them. The Haydn and Handel Society Collection of Church Music went through seventenn editions. Mason was invited to come to Boston with a guaranteed income of $2,000 annually, so he decided change careers. He didn’t feel comfortable accepting the $2,000 and got a position at the Bowdoin Street Church, but his supporters arranged for him to have the position of teller at the American Bank to supplement his income. Lowell Mason became president and conductor of the Handel and Haydn Society in 1827. He was a member of the Presbyterian Church. Two of his sons, Lowell and Henry, were the founders of the organ company Mason & Hamlin. Dr. Lowell Mason died at Orange Mountain, New Jersey, on 11 Aug 1872. The postlude is the first movement from “Suite Gothique, Op. 25” by Léon Boëllmann, which is entitled “Choral.” We heard "Prière à Notre-Dame" from this work on August 2, 2014, when it was used as the Prelude for that service. The suite was transcribed for brass band by Eric Ball, and is frequently used as a concert finale by bands such as Fodens, Black Dyke and Brighouse && Rastrick. http://youtu.be/n_AQ0FLrRMo “Suite Gothique, Op. 25” by Léon Boëllmann, played by Fabian Schwarzkopf on the 1841 Buchholz organ (1841) of St. Nikolai, Stralsund, Germany. St. Nicholas Church was dedicated to St. Nicholas of Myra, the patron saint of sailors, in 1279. It became an Evangelical Lutheran Church in 1524.